Let's take that as "top people", shall we? Thanks for that... I have no real context for who Mr. Kern is, so that's actually very heplpful! Nathan, agreed that Dave K. is great but IBM has known that this change has needed to be dealt with for years. I can't think of another major vendor's platform that doesn't support SHA2 and TLS. 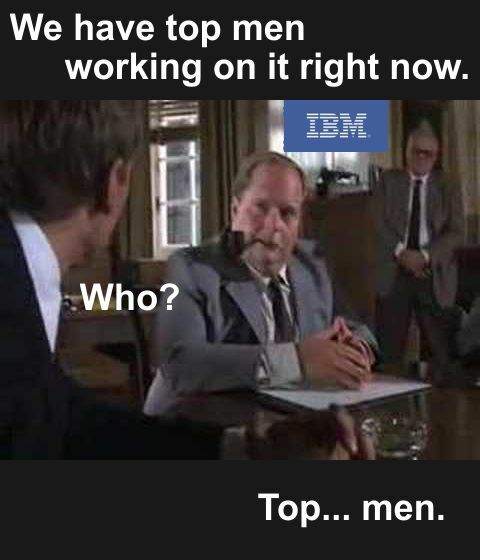 I have to imagine that anyone that cares about security at IBM, and there are lots of them, have to be sick about this. It can only be attributed to the people that prioritize development efforts in management being negligent in taking care of Domino.